Notes: I made this pizza for my Aunt Bev when she was visiting from Australia. She wanted a healthy pizza and that’s just what she got. It was light, summery, and fresh. 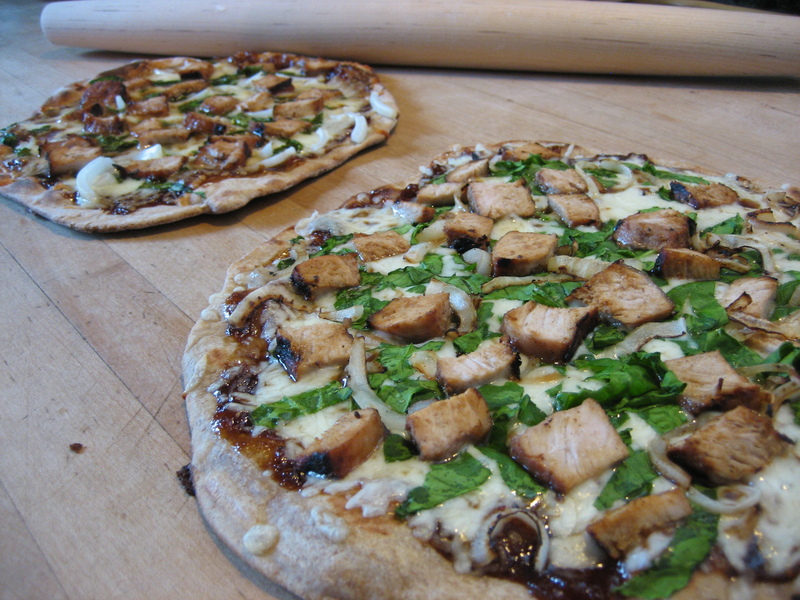 Here’s a pizza that I made this summer and even wrote about, but forgot to post! Sometimes I go a little overboard with fresh ingredients. This pizza was one of those times. Here are the ingredients and the reasons I chose to use them on this pizza. First, Andrew asked to have brie as the cheese on a pizza. It was so delicious last time I used it so I was excited to use it again. Second, my mom gave me a stash of sun-dried tomatoes that she made from her garden and I thought they would go nicely with the brie. Third, our neighbors shared some fresh rosemary from their herb garden. Fourth, we had fresh corn on the cob from our CSA and having never used corn as a pizza ingredient I decided to throw that on. 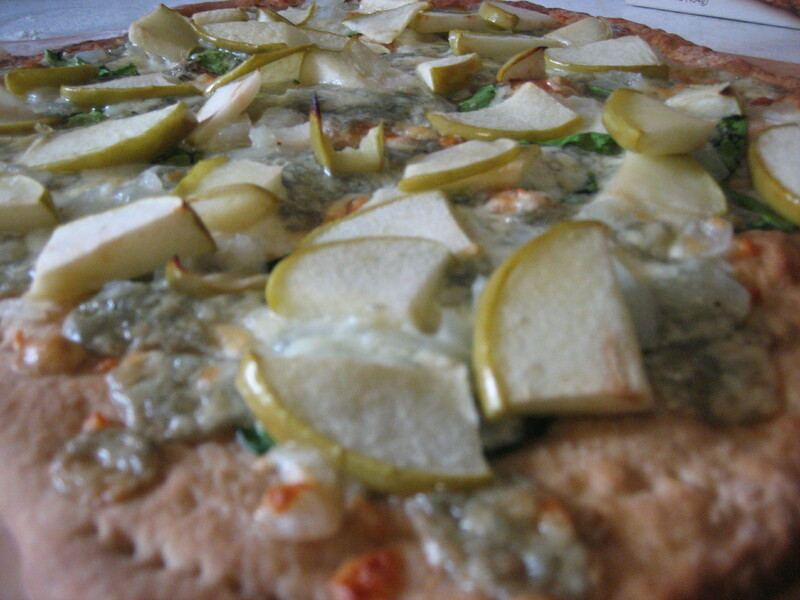 And finally, to give the pizza color, I added some fresh baby spinach. I had a fun time assembling this pizza. First, I spread homemade pizza sauce on my pre-baked dough. Next, I diced the brie as small as I could in hopes that when it melted that it would cover the pizza well. Then I sprinkled it on the sauce and some shredded fresh baby spinach. I rehydrated the dried tomatoes in warm water, extra virgin olive oil, salt and pepper, finely chopped rosemary, and tossed them on the pizza. Lastly, I cut the corn off the cob and sprinkled that on as well. I baked the pizza in the oven for about 10 minutes. 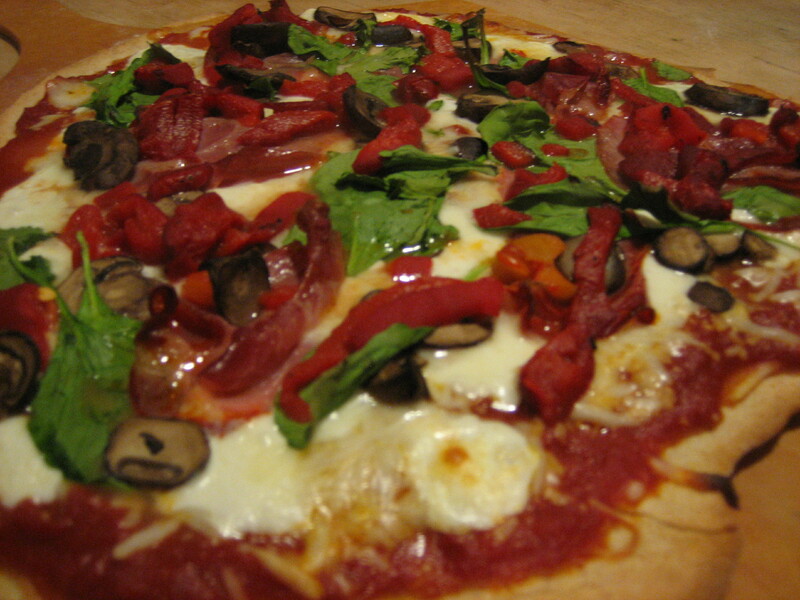 This pizza had the most fresh ingredients I have ever used on a pizza and it was bursting with fresh flavor! If you make this one for yourself I think you will agree that it tastes like you are taking a bite out of a garden. This was a delicious summer pizza recipe. 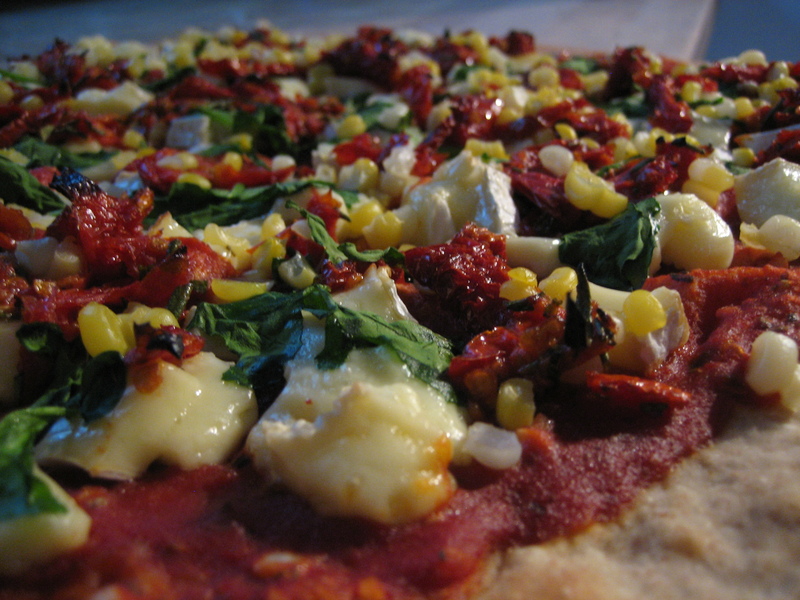 My Broccoli, Beet and Spinach pizza recipe was a hit. Not only did the colors of the red beets and green broccoli look beautiful together, the flavors complemented each other well! Here’s how I put it together. I sliced and roasted the beets we received from our food collective this week. While those were roasting I steamed the broccoli. We buy bagged baby spinach so there was no prep needed for that ingredient. Again, I rolled the dough out super thin then I spread on marinara and sprinkled on the low-fat mozzarella cheese. Lastly, I loaded up the veggies. 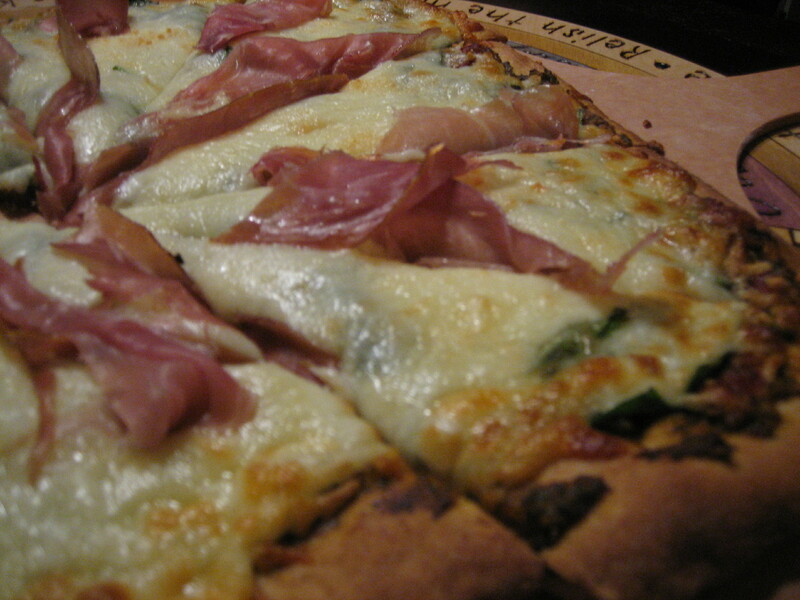 This pizza baked pretty quickly with the super thin crust and light sprinkling of cheese, and also tasted very healthy. 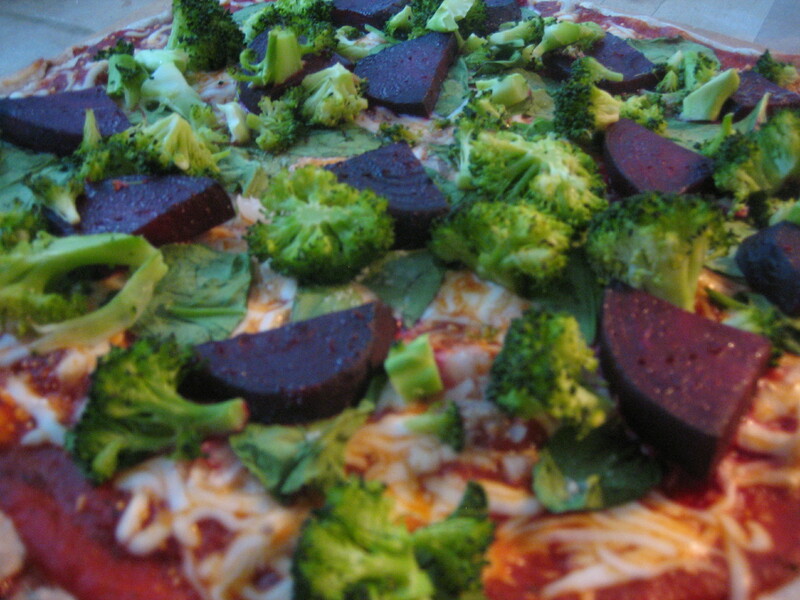 While both pizzas of the night were delicious, my Broccoli, Beet and Spinach pizza recipe definitely was the favorite!